I read this earlier today and found it very sad, as neither of both men did get to live to be ‘an oldtimer’ (Neal Cassady died aged 41 and Kerouac himself at the age of 47). They also didn’t enjoy each other’s company as much, or indeed had much contact in their later years anymore, which is hard to imagine reading On The Road. The universal story of friendships that just don’t last. Natural, of course, but sad and regrettable nevertheless. 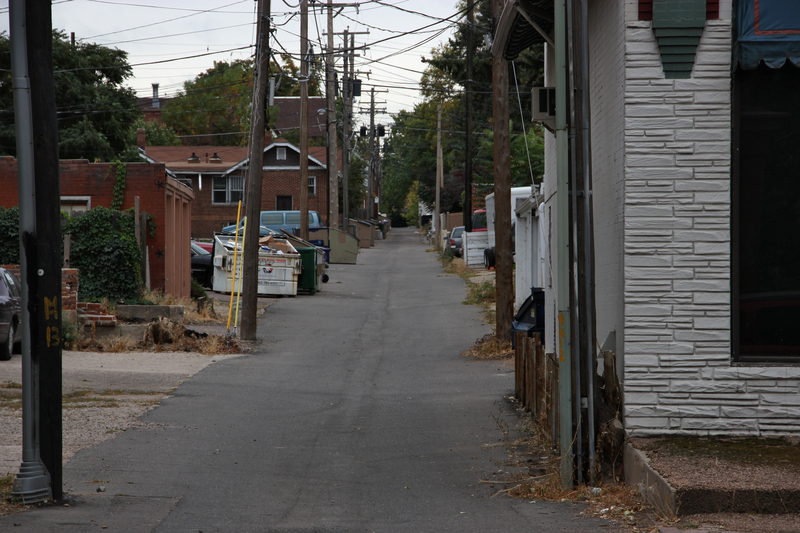 I chose this photo of a little, modest alley in Denver,Co to accompany this post, as it would have been a likely place for both man to have lived in.